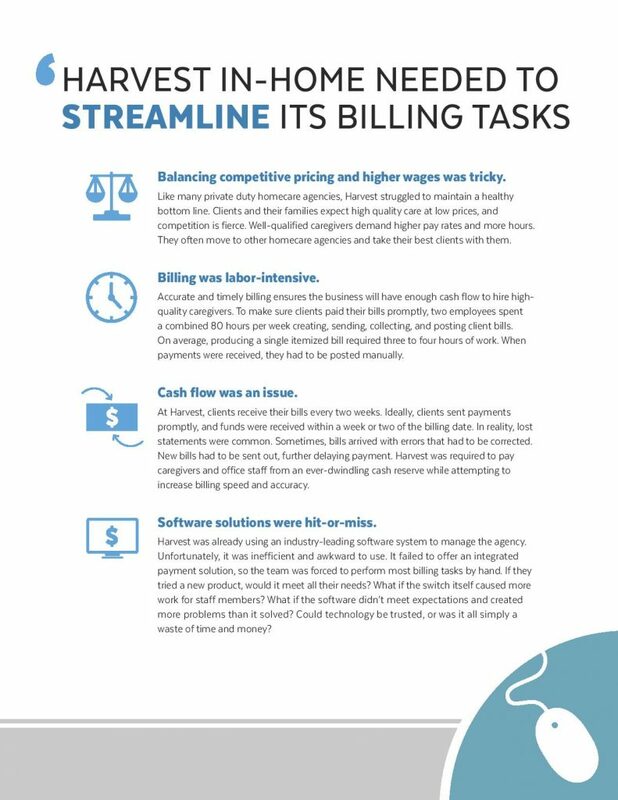 Automatic billing and payments are AxisCare’s effortless, efficient way to get paid faster and more easily. 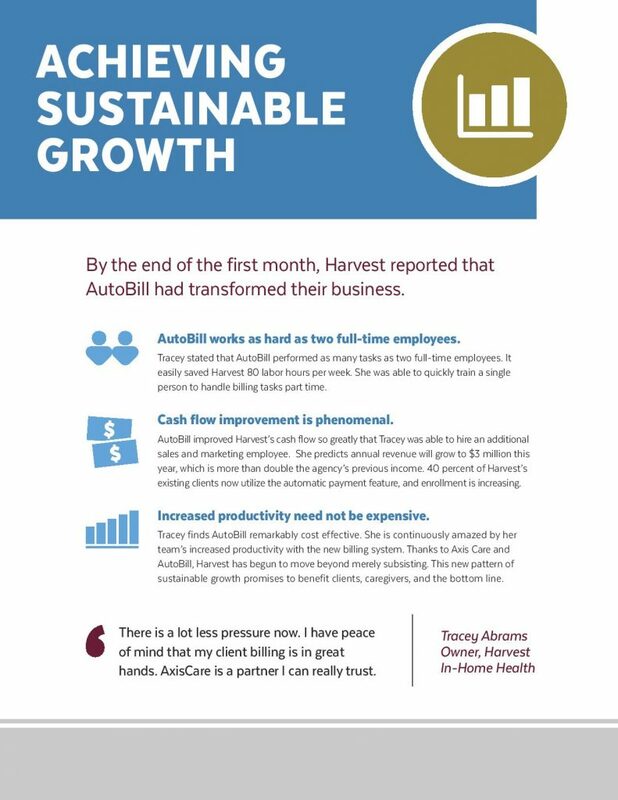 One of our AxisCare clients ended up saving 80 hours a month of billing time, allowing her to focus that time on growing her business! 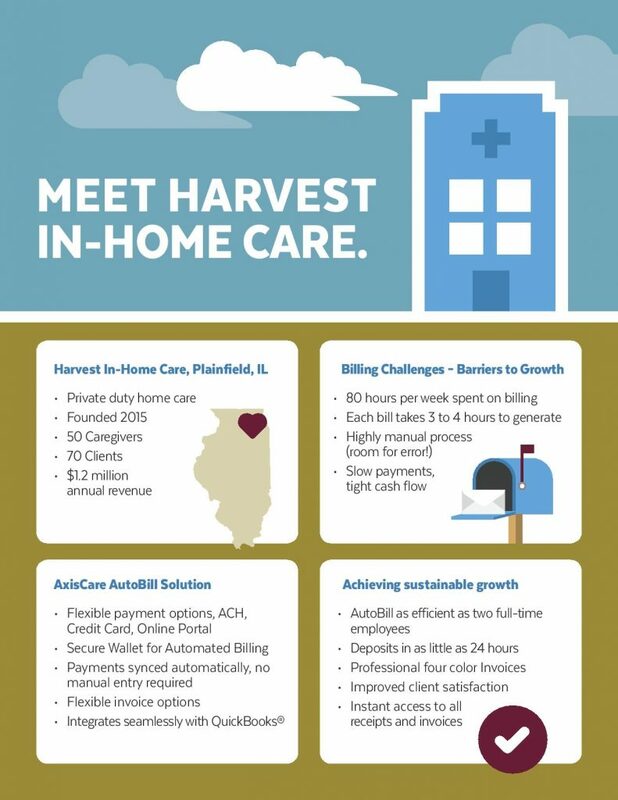 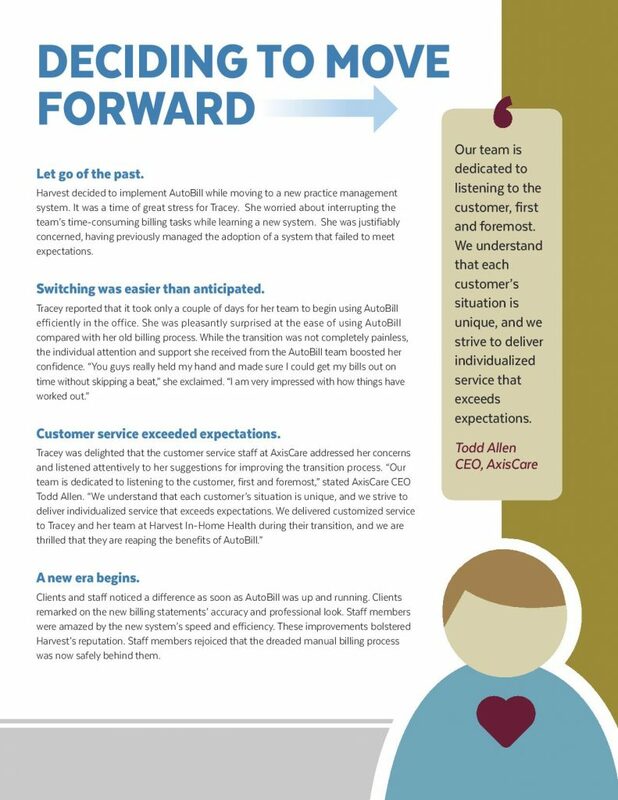 Keep reading to see how Harvest In-Home Care, a home care agency in Illinois, streamlined their billing tasks and transformed their business using AutoBill. 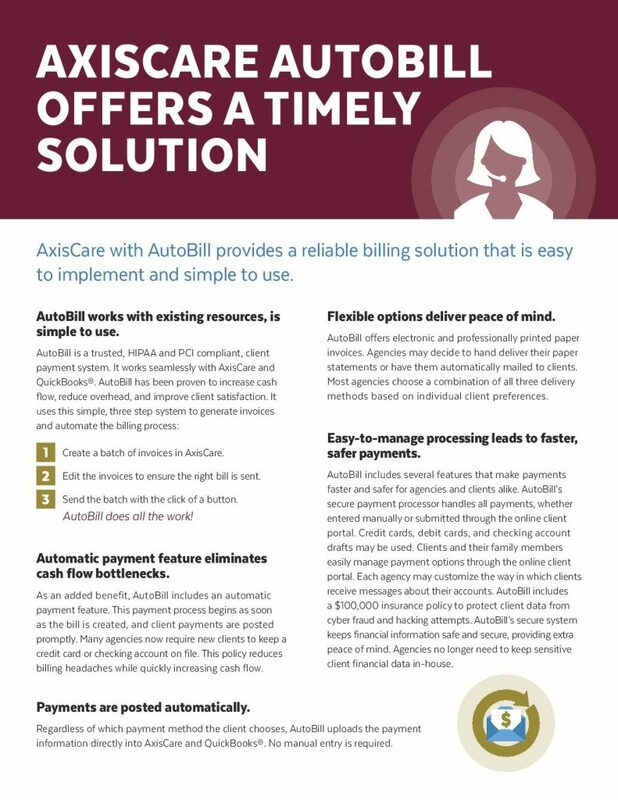 To learn more about how AxisCare utilizes automatic billing, click here.